ONE learns about the history and culture of the Mashantucket Pequot Tribal Nation at this extraordinary museum. The Mashantucket Pequot Museum and Research Center, is a simply astonishing state-of-the-art, tribally owned-and-operated complex, which brings to life the history and culture of the Mashantucket Pequot Tribal Nation, a native Algonquin people in Southeastern Connecticut. 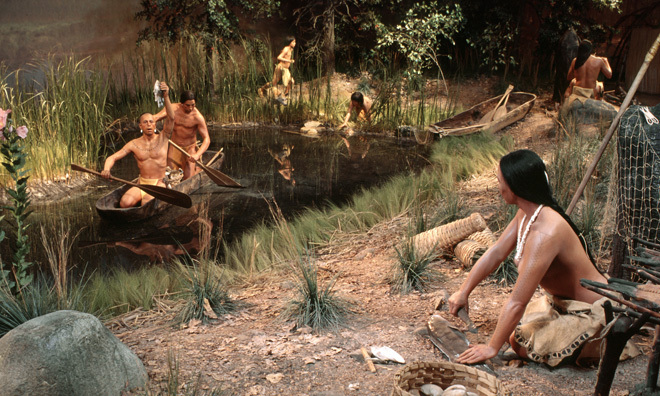 Approximately 250,000 people visit the museum each year and in addition to the Mashantucket Pequot Tribal Nation, discover the histories and cultures of other tribes using interactive exhibits, which range from the ice age to woodland life. The museum is vast (over 300,000 square-foot) and sensible walking shoes are a must if the visitor is hoping to enjoy all that is on offer during a day visit. It is located in one the oldest of America’s Indian reservations which was established in 1666. The reservation is undoubtedly best known for the nearby Foxwood Casino, but those that simply venture there, miss out on an exhilarating experience of a different kind. The collection emphasizes the eastern region of North America from the 16th to the 20th centuries, and the artifacts on display include children’s toys, prayer books, cooking utensils, blankets, and Southern New England baskets. There are numerous permanent exhibits that trace the Native and natural history of southern New England from the time of the Ice Age to the present, telling the truly dramatic story of the Pequot people and other Eastern Woodland tribal nations. The Ice Age exhibit greets you as you enter the exhibition area and the glacier you walk through is accompanied by a cooling of the air, and almost immediately the immersive nature of the exhibit has taken hold. Another highlight is an indoor recreation of a 16th century Pequot Village. The sounds of native birds and other animals surround you, as you walk through the half an acre that comprises the village. There are dozens of life-size figures depicting daily life from over 400 years ago and numerous wigwams and a longhouse, the traditional home of the tribal chief. It is an amazing achievement. 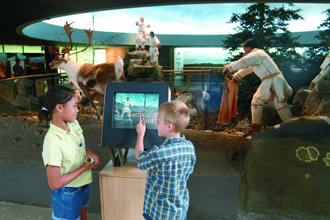 Throughout the museum interactive computer programs complement the exhibits, allowing visitors to navigate the dioramas and access more information, images and video by touching the computer screens. In addition to the permanent exhibits, each year the museum houses a number of special exhibits which showcase both contemporary and historical Native arts and cultures from across North America. The museum is a ‘must-see’ and draws visitors from throughout New England and beyond. Visitors should allow themselves several hours if they are to leave without feeling they missed an important exhibit. There is an excellent restaurant in which you can refuel and recharge during your day, before embarking on further discovery and education. 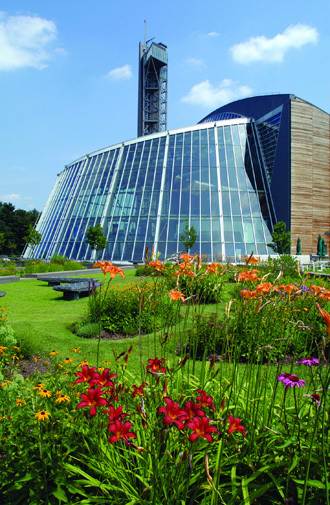 Suitable for all ages, The Mashantucket Pequot Museum and Research Center is highly recommended.